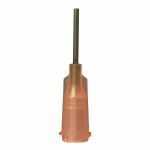 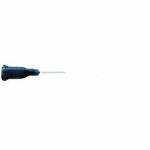 Jensen Global Highly Flexible PTFE Dispensing Needle Tips offer a scratch-free dispensing solution designed for highly sensitive applications. 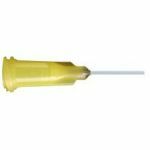 The polytetrafluoroethylene composition works especially well with cyanoacrylates, anaerobics and other epoxies that tend to clog in a typical stainless steel cannula. 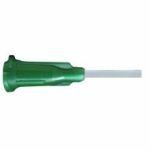 The flexible tubing is bonded with a UV-cured adhesive to a polypropylene Luer Lock hub. 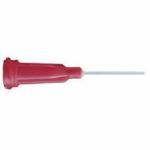 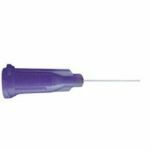 Note: Our PTFE flexible dispensing needle tips are intended for industrial use only. 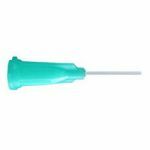 They are not sterile and should not be used for medical purposes. 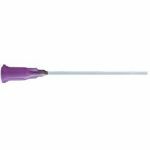 Purchase Jensen Global PTFE Flexible Needles Today!